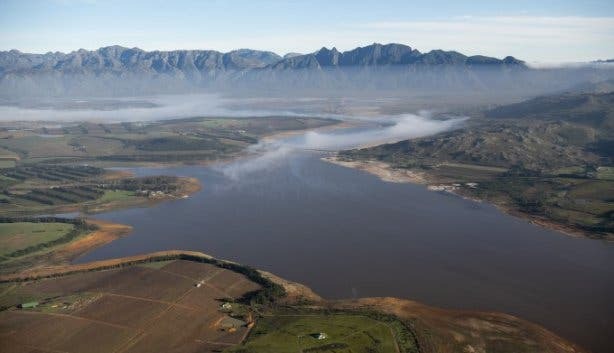 The average water level for all dams in the Western Cape currently stands at 35.5% (compared to just 16.5% this time last year), while the latest dam water levels from Cape Town are at an average of 47.8% (compared to 20.4% this time last year), indicating stability of supply over most of the region. 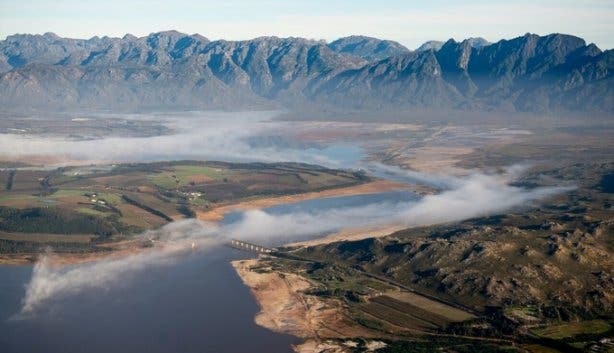 The minister confirmed that the provincial Department of Local Government continues to provide these municipalities with support and technical advisory services, adding that the department had, in the past financial year, spent R82.5 million towards disaster relief projects across the province. This, he says, was over and above support provided by other provincial departments including the Department of Agriculture’s support to farmers and farmworkers. Bredell said the province has been conducting fire, flood and drought awareness campaigns in all communities. The City recently announced a slight relaxation in Level 3 water restrictions with regard to irrigation at home. You're now allowed to water your garden with municipal water, but only on specific days and times, using specific irrigation systems. 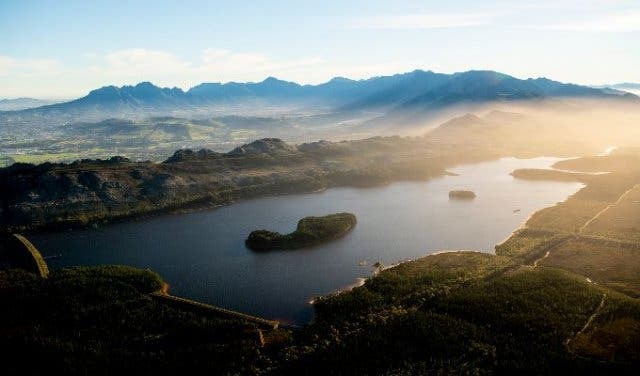 Our team brings you all the Cape Town water updates below: See the relaxed Level 3 water restrictions and the latest Cape Town and Western Cape dam levels. 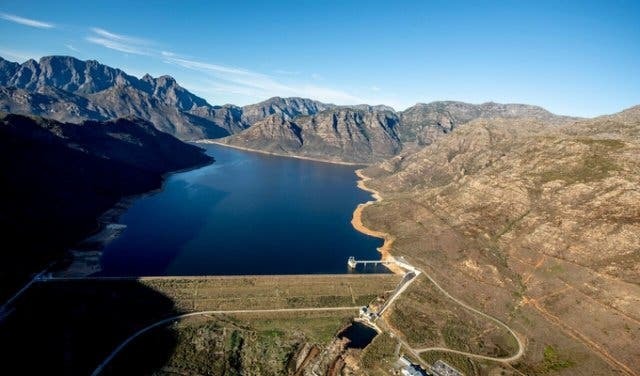 You’ll find all the latest city and Western Cape dam levels, plus: info on Level 3 Water Restrictions in Cape Town below. 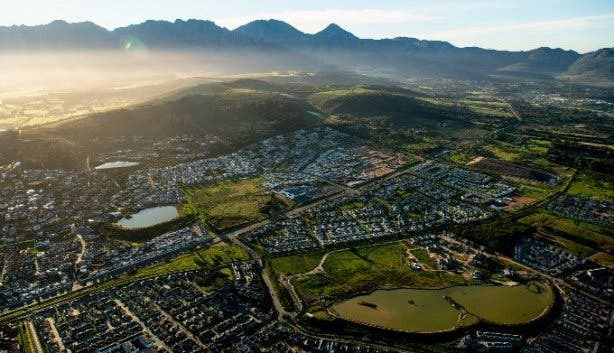 As of 1 December 2018, water restrictions have been lowered to Level 3, meaning that personal water can increase from 70 to 105 litres per person per day whether at home, work, school, gym or elsewhere. Here's what you'll be paying. * Wash vehicles, trailers, caravans and boats using a bucket. 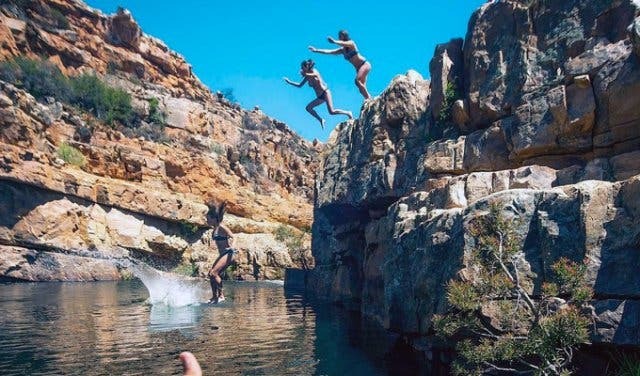 Idea for summer: Discover these awesome Cape Town tidal pools and natural rock pools. 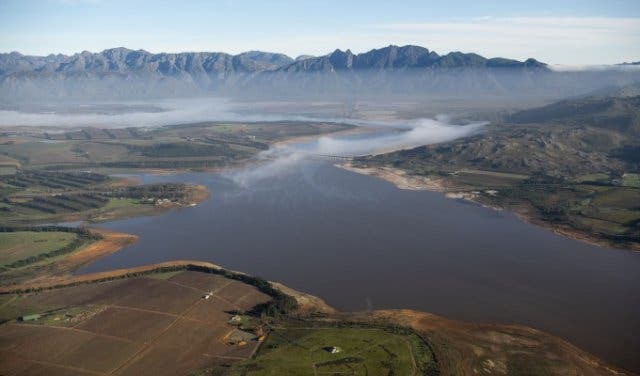 The latest update from the City of Cape Town shows that the total level of the major dams is at 48.4%, compared to dam levels of 21.0% at the same time last year. 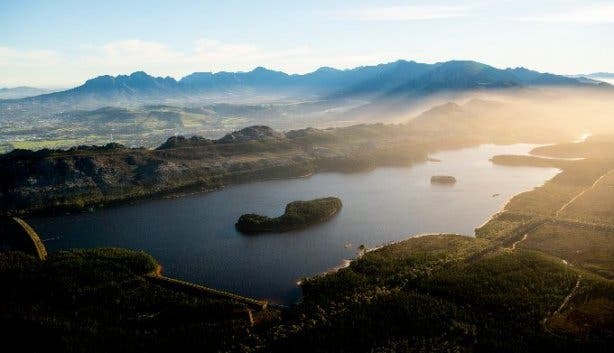 Average daily water consumption is down to 582 million litres per day from 598 Ml/d (1 April), showing that Capetonians remain water-conscious and continue to implement water-saving efforts to reduce daily consumption. 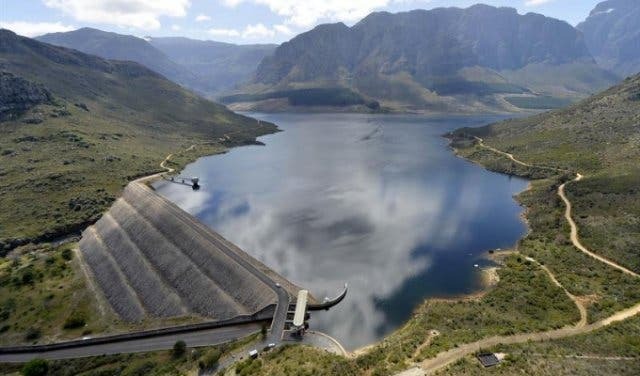 The combined level of the dams in the Western Cape as of 15 April 2019 is 35.56%, compared to 16.58% at the same time last year. See below: The Western Cape State Dams is the total of the combined storage of the Cape Town System Dams and the four catchment areas recorded below. 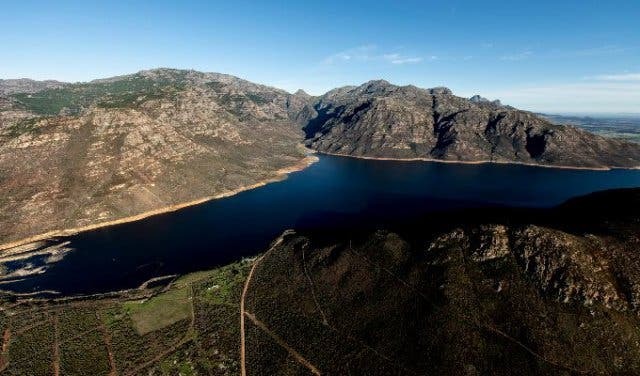 Throughout 2018, reports said Cape Town could be the first major city in the world to run out of drinking water, with images of dry dams being beamed all over the world. 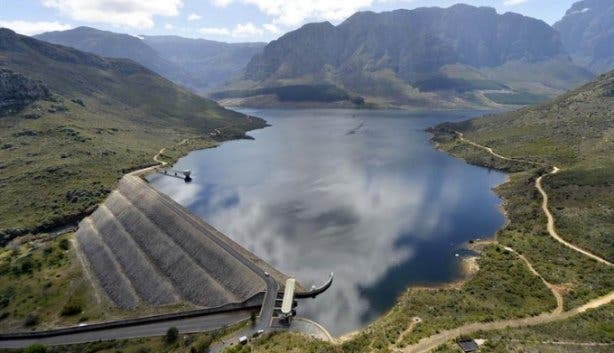 Capetonians have taken on the challenge to save water: Not taking baths; shortening showers; not flushing with potable water, and becoming more conscious of when to wash clothes or have a tap open. Those who could buy rainwater tanks while others educated their neighbours on water-conscious usage. The hospitality industry invested in water re-usage systems and desalination plants were installed. 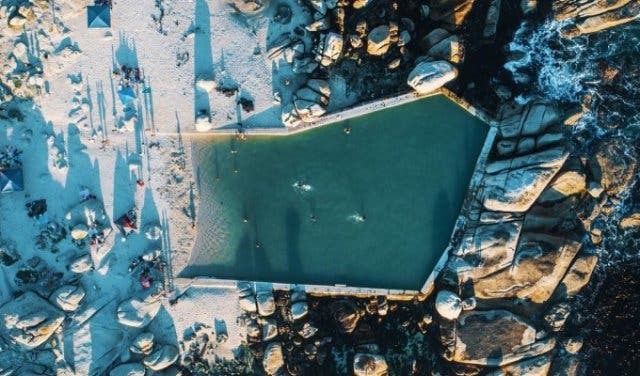 As things improve it's important to also read about how Capetonians pulled together, and for tourists to know that they make up only 1% of the population at peak season, and should consider Cape Town their top destination of choice. At the end of June 2018, we decided to go and see the levels of the dams for ourselves. 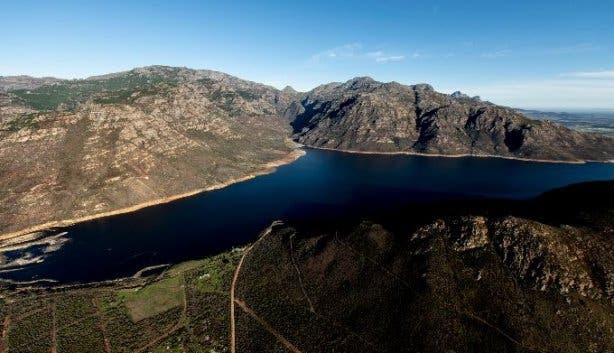 So we flew over three of Cape Town’s major dams. What we saw inspired our readers to share the news far and wide because the story of Capetonians pulling together needs to be shared. The video and images of Cape Town from above were shot and edited by Red Bull photographer Craig Kolesky. The flight was courtesy of our partner Cape Town Helicopters. Power off again? 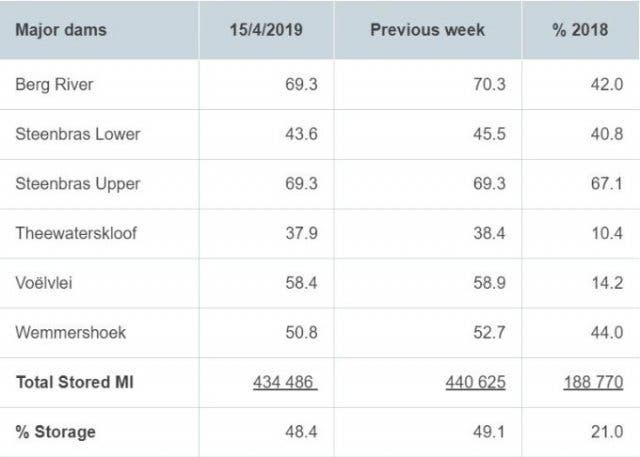 Keep up to date with the latest in loadshedding in Cape Town. 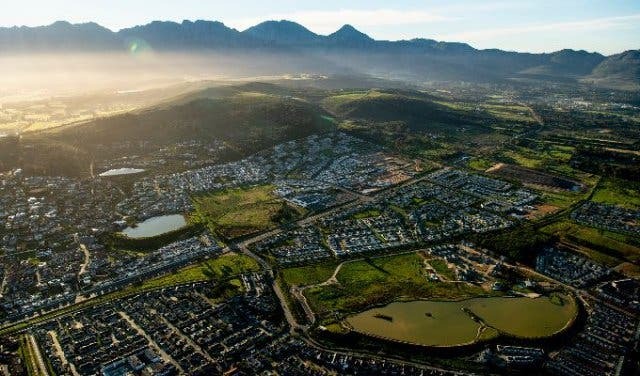 Find out the innovative ways that Capetonians have been saving water. With the rising dam levels, we’ll be celebrating water for days to come. 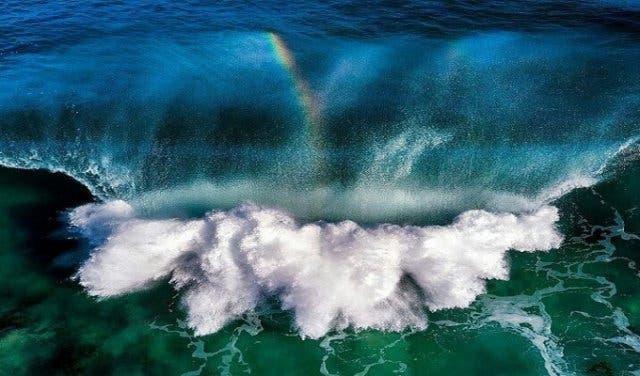 It’s summer, so have a look at these Cape Town surf spots and things to do in summer. Or check out our day tours for families. 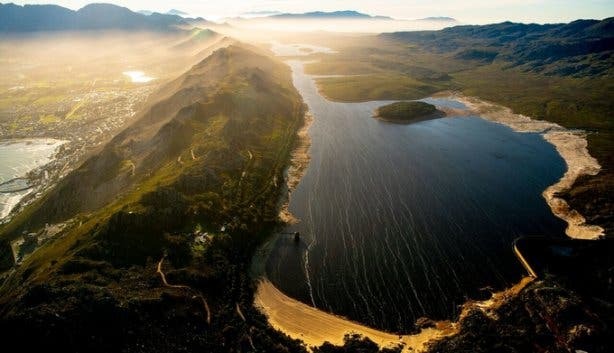 Discover these beaches around Cape Town, as well as awesome surf spots. Check out the special, secluded and hidden tidal pools around Cape Town. And these beautiful natural rock pools of the Western Cape.